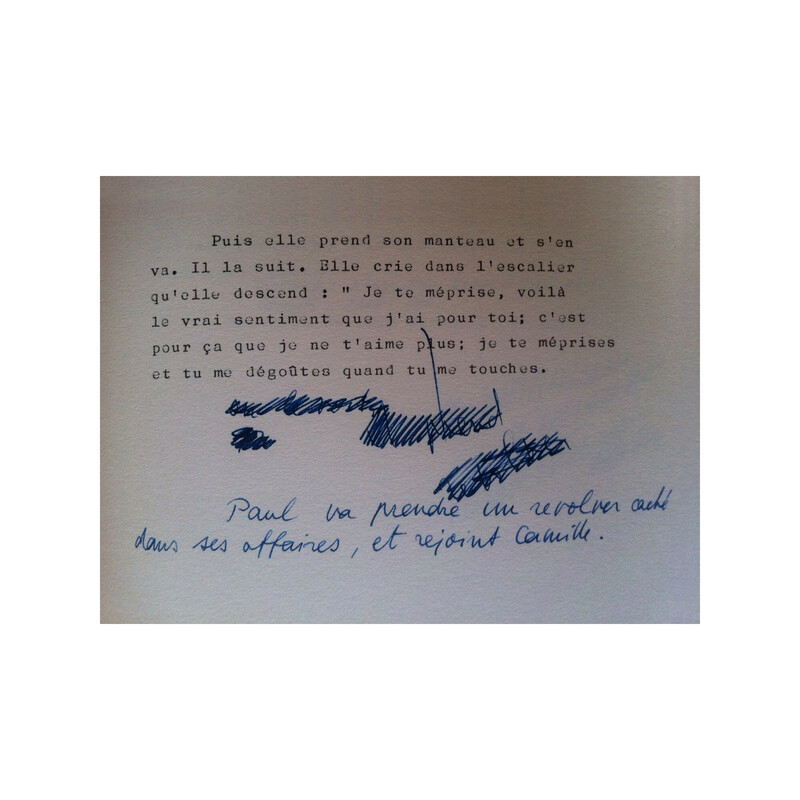 Godard's handwritten screenplay for his masterpiece film Contempt. 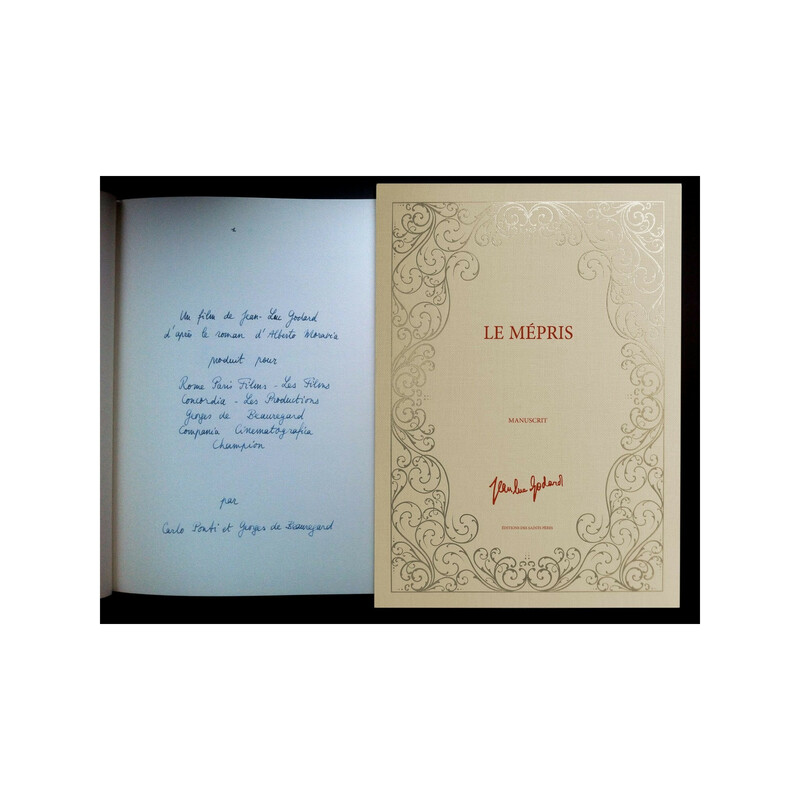 This deluxe edition of Le Mépris, penned by Jean-Luc Godard himself, comprises the film’s original screenplay: 59 handwritten pages and 29 hand-corrected typed pages. Godard gave this long lost manuscript to Brigitte Bardot at the end of the film's production. The manuscript only recently re-emerged in a French auction in 2013. 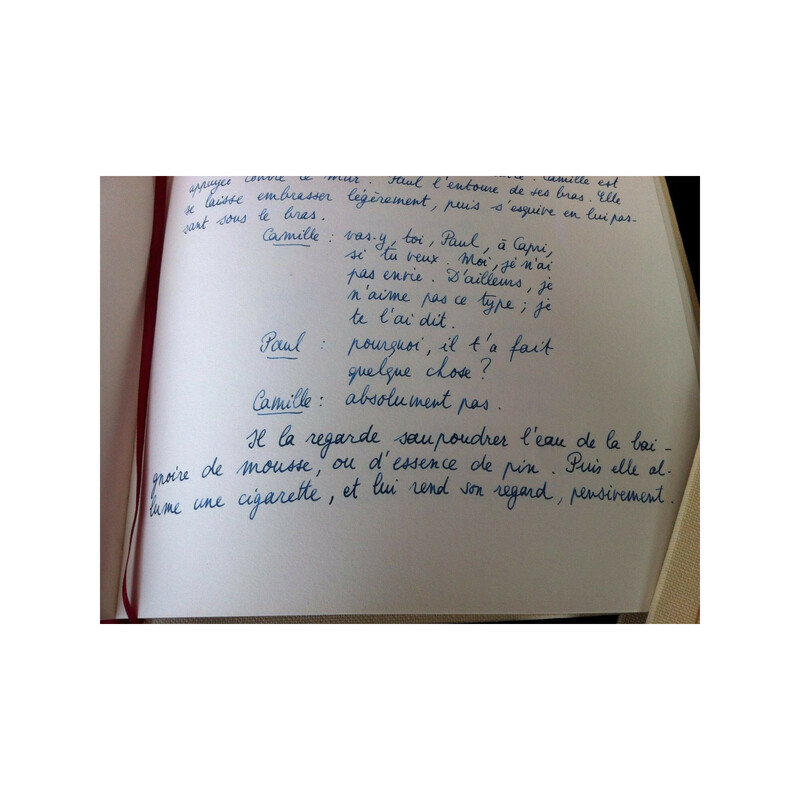 In honor of the film's 50 year anniversary, Éditions des Saints Pères decided to offer the manuscript to Godard fans the world over. This beautiful luxury edition also contains handwritten engagement letters by Brigitte Bardot, Fritz Lang, Michel Piccoli, and Jack Palance. It also contains the film’s iconic 'Camille' score, handwritten by composer George Delerue.